Now that 2015 has come to a close, I wanted to publish the blog’s top 10 most-read posts of the year. Throughout the year, it has been really interesting for me to watch and see which posts are most searched for and read because it helps me see what other mini pig owners are dealing with in their own lives. I thought it would be helpful to share that list for everyone to read, so here are the top 10 posts for 2015. Part of my reason for publishing this list is so new readers can see the most-read posts they missed from earlier in the year. However, my main reason for posting this list is that it’s helpful for other mini pig owners and prospective owners to see what others are searching for and finding useful. For me, it helps to know I’m not alone with some of the issues we are dealing with as first-time mini pig parents. 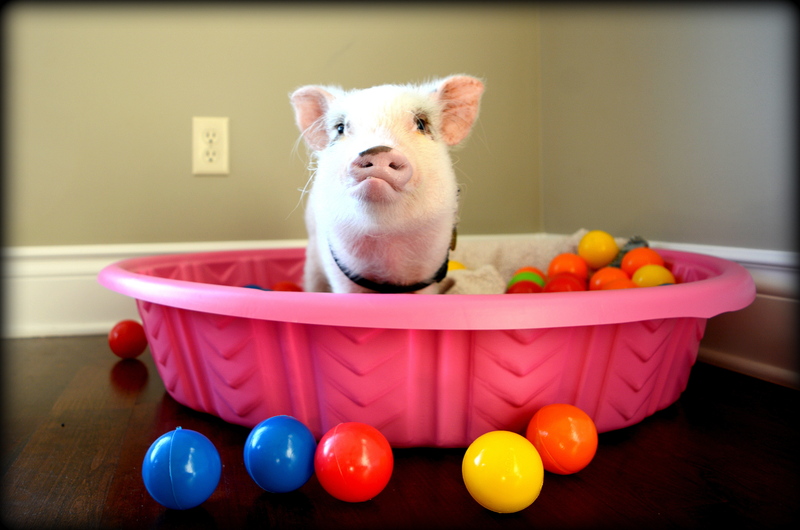 For example, the top post of the year is Toys for Mini Pigs. While that post was read off and on throughout the year, the numbers for that post spiked when winter came and a lot of mini pigs became bored without their usual sunny, warm weather to root around in. 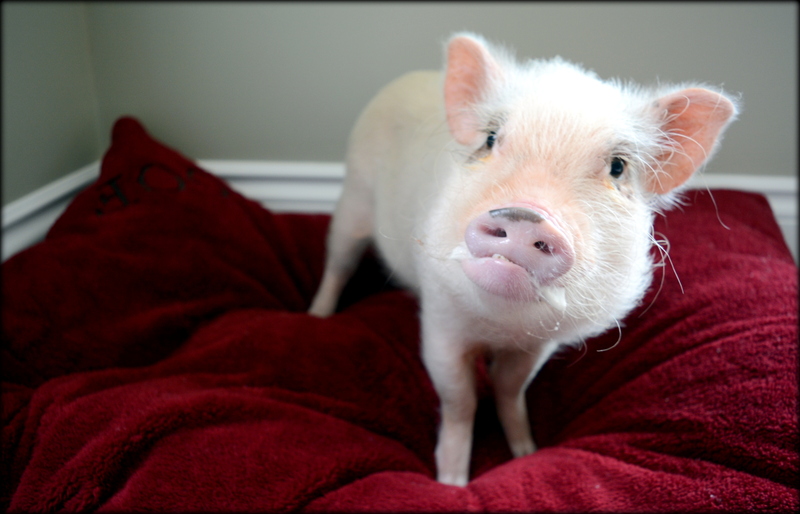 What the numbers for that post tell me is that the challenge of keeping a mini pig stimulated and busy in the winter is something many of us are dealing with, and we certainly aren’t alone! Another interesting finding from the top posts list is that, while not in the top 10, Mini Pig Mange: Sarcoptic Mange Symptoms came in right behind the top 10 and shows that mange is a common concern for mini pig owners. When Oscar came home with mange earlier this year, I was embarrassed and hesitant to discuss it. 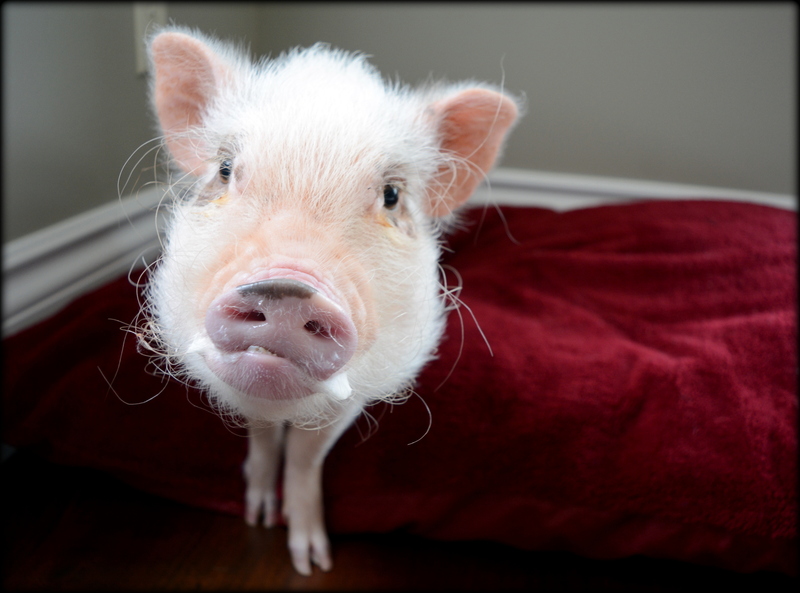 I thought about just not talking about it and dealing with it quietly, but that wasn’t consistent with my goal to create an honest blog about life with a mini pig. So, I wrote the post and was surprised at the wonderful feedback and support I received from readers. As I have watched the numbers for the post throughout the year, I now see that mini pig mange is something many pig owners are dealing with and that it warrants an open discussion so we aren’t embarrassed and can get the help we need to have it diagnosed and treated. 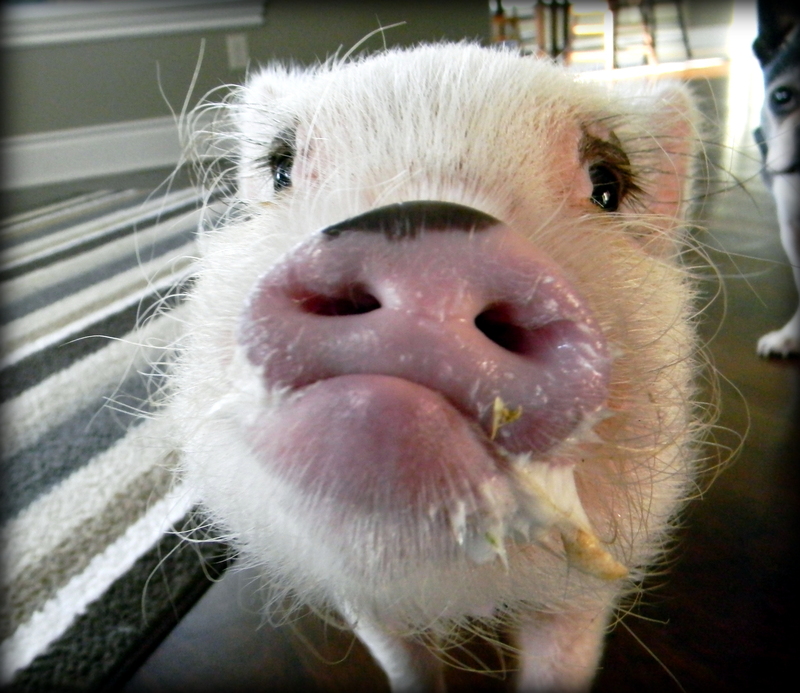 Hopefully this list will give you some insight into what other mini pig owners are dealing with and will provide useful information to make your life with your mini pig easier and happier. I’m curious to see what life with Oscar brings in 2016!